All the other foods are optional. are Corn Casserole and Sweet Potato Souffle'. and had no immediate family to share our T-Day meal with. Some friends invited us to their home for the day. We are so glad they did! they shared their family's recipe for THE best sweet potato side dish we had ever had. Thanksgiving Day morning and start mixing the ingredients. Drain potatoes. Whip all ingredients until pale-ish and fluffy. Mix topping ingredients with a fork. "better make" list when you plan your Thanksgiving Day meal. Making me hungry.....will probably have to make this for turkey day this year. I am SO excited about this recipe! 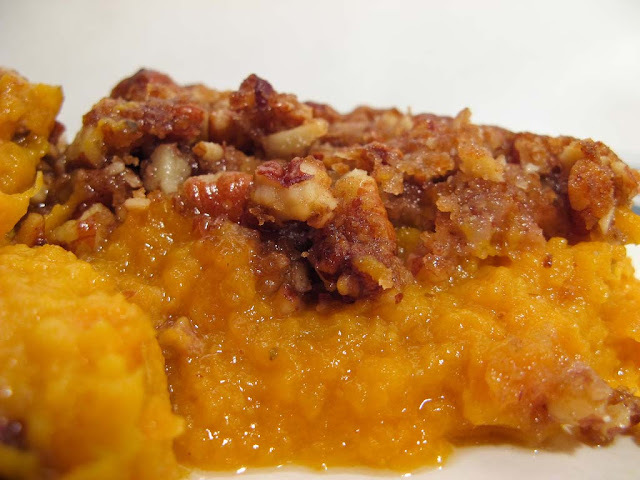 I've copied this into word and I'll be making it for sure along with pumpkin mac and cheese! This is a favorite with our family as well. 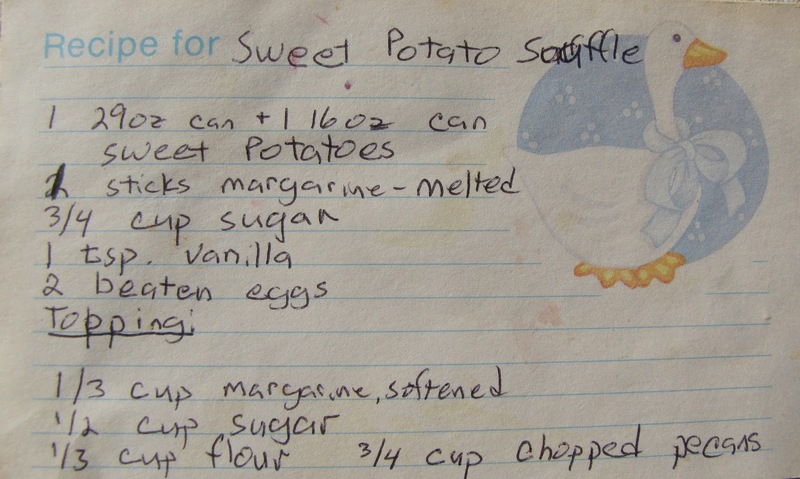 My sweet, sweet grandmother once informed us she had made a Sweet Potato Shuffle. We were all confused until we realized she'd misread souffle'! 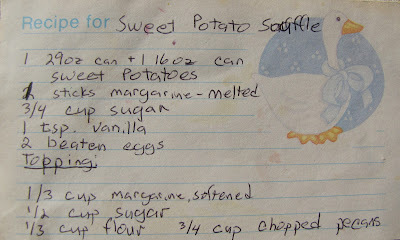 Since then we've always called it The Sweet Potato Shuffle! LOL! It looks delish! we love sweet potatoes here...we bake them at least 2-3 times a week! 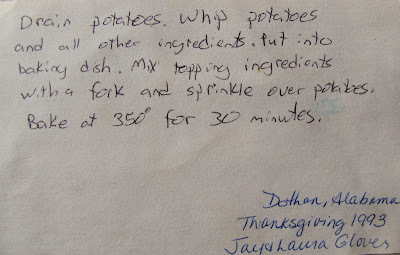 Mmmmm, we've had this for Thanksgiving in the past. It is so good, and rich!